Team JFAUK has returned from Thessaloniki, Greece whereby they competed in the 2018 Miyazaki International Cup. The trip proved to be remarkably successful with the JFAUK Judoka returning with 7 Gold and 2 Silver medals! On Saturday 17th March the Miyazaki Cup took place. 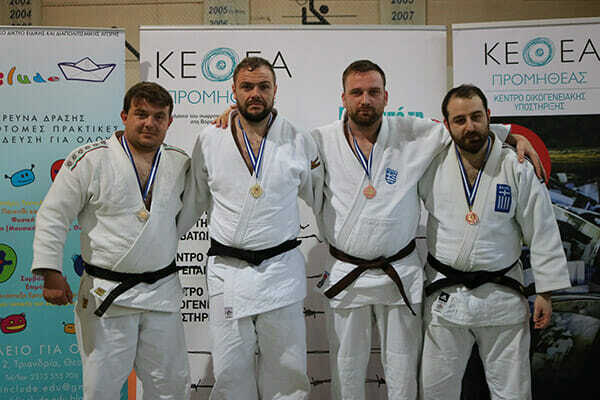 Ross Elliot started the day and took the men’s -99kg category by storm, overcoming a large pool of Greek judoka before meeting a Bulgarian in the final. 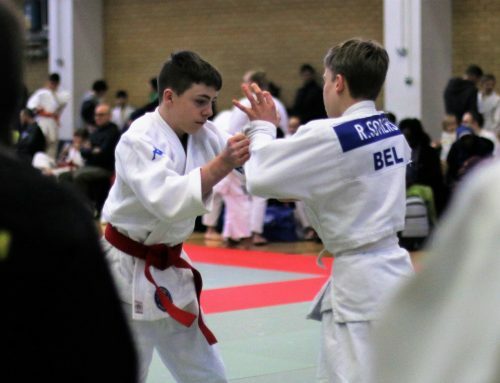 Ross kept his composure and came through the final with positive judo to take home the gold medal. Alexis Bardini and Oli Relton were up next in the men’s -75kg category. The two started the category at opposite ends of the pool before eventually meeting in the final with Oli taking home the gold and Alexis taking the silver. Sam Charalambous took to the tatami next in the men’s -79kg, making a last minute decision to fight up a weight in order to avoid his team mates. Sam utilised beautiful technical judo before meeting a Greek dan grade and experienced Jiu Jitsu practitioner in the final. Sam represented judo well, proving once again that upright judo prevails and took home the gold for JFAUK. Next, Sam Sampson returned to the men’s -83kg category for the first time since 2015. 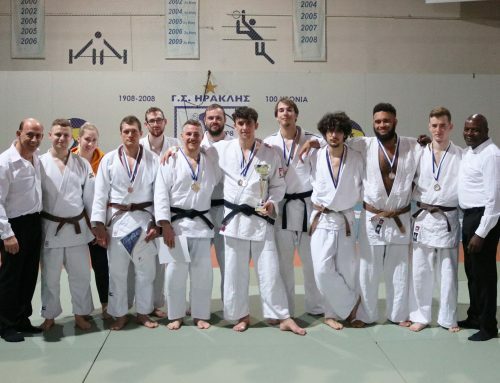 Sam too worked his way through his category before meeting a Greek judoka who was also an experienced Jiu Jitsu practitioner, deciding to take him to the ground and show the strength of JFAUK’s ne-waza by holding him down for ippon, taking hold the gold. Hannah Chesham was representing the JFAUK girls today in the women’s -70kg category, managing to bring home the gold for JFAUK. Unfortunately, Jason Baird in the veterans men’s -71kg had a difficult day, sustaining a head injury in the first round. He bravely fought on, however had to withdraw in his second fight after having problems with his eyesight. To finish the day the open categories were held. Hannah Chesham bulldozed through her opponents to take home the gold. Alexis Bardini, Sam Charalambous and Oli Relton entered the men’s open. Alexis unfortunately fell short in the first round to the Bulgarian coach. Sam Charalambous then took on a Bulgarian judoka with a weight advantage of 40kg. However, Sam was unfazed, threw him with a Wazari and later used shime-waza to collect the ippon win. Oli Relton stepped up next, again taking on a Greek judoka with a weight difference of 30kg, also using shime-waza to gain the ippon. Sam and Oli made the same progress in the rest of their fights before facing one another in the final. Oli gained the advantage this time and brought home his second gold of the day. 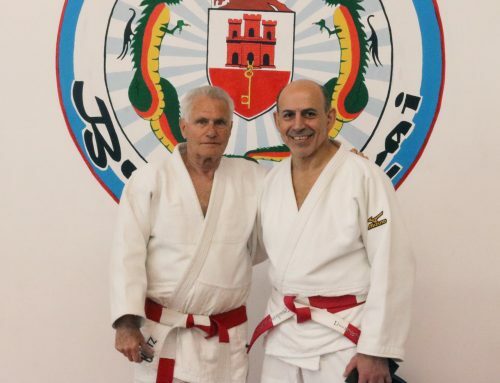 On Sunday 18th March the team traveled to one of the Greek judo clubs to participate in a morning training session before Sampson Sampson, JFAUK President and Vice Chairman of the WJF Technical Committee conducted a Level 1 Coaching Course for the Greek judoka. The weekend was superbly successful and we thank all who travelled abroad and represented JFAUK well.